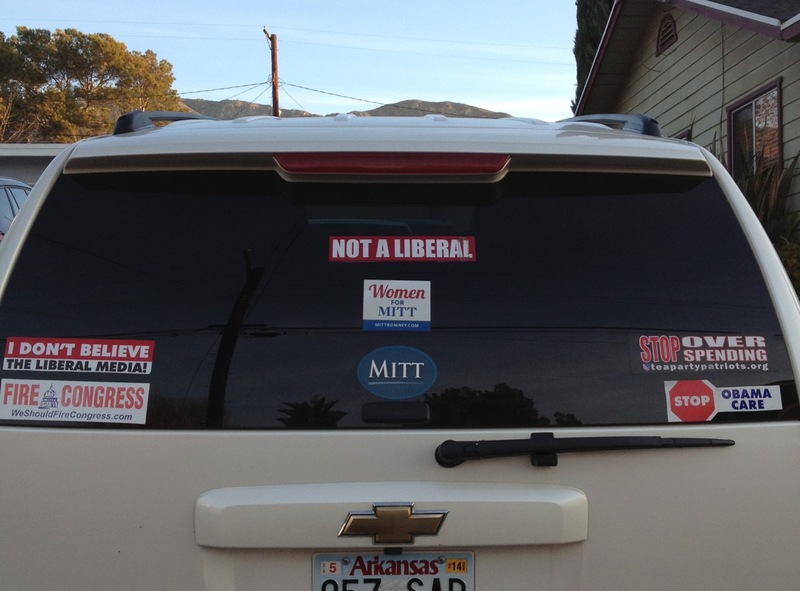 I’d hate to go with “Not a Liberal,” which is quite superfluous given the other stickers. I love the fact that they’re visiting that neighbor. Why that side note made my day? It’s probably better not to ask. At least we know where they all are. The middle sticker should say “Binders full of Women” for Mitt.